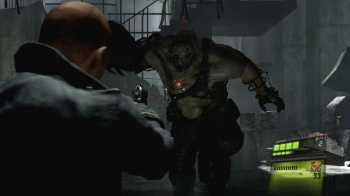 Capcom is looking to spice up Resident Evil 6's multiplayer with post-launch DLC. A quick primer: Resident Evil is made by Capcom. Capcom is notoriously fond of paid DLC, so fond, in fact, that the company frequently sticks it right there on the disk (though apparently that's now a thing of the past). 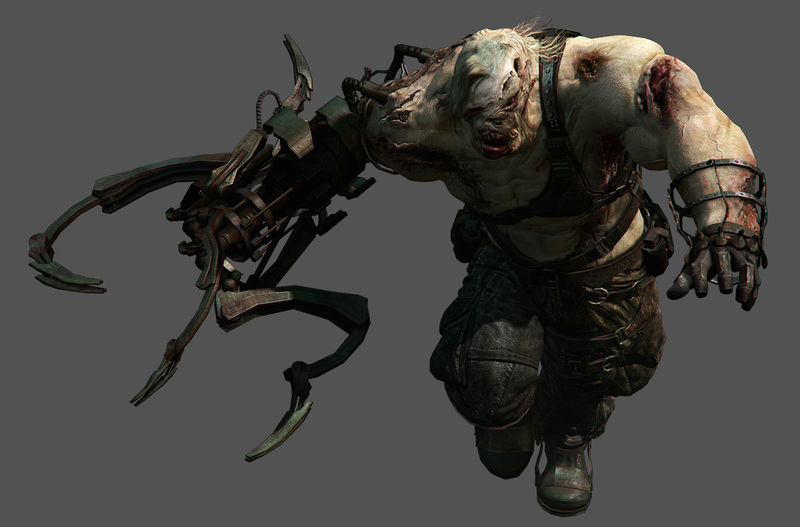 It should come as no surprise then, that the upcoming Resident Evil 6 is going to be beaten with the DLC stick. This time in the form of three additional multiplayer modes. All three modes (it's implied they'll be sold separately) are timed exclusives for the Xbox 360. No news on a PS3 release as of yet. In Predator mode, one player gets to play as the "Ustanak," a hulking abomination that kind of looks like a post-apocalyptic Gary Busey. The Ustanak dodders around the map, soaking up bullets and eating people, while players who are not the Ustanak desperately try to either kill it or survive the round. Judging by the similar modes in Left 4 Dead, a better name for this game mode might be "Ragequit," or possibly "The Lonely Ustanak." Siege mode is a fairly typical "VIP" game mode, where one team has to defend an NPC (spoiler: which will be dumb as a box of hammers) while the other tries to murder it. Survivor Mode sounds the most interesting. Described as "a solo or team-based last-man standing versus mode," in Survivor mode, any player who dies respawns as some manner of awful beastie. If they manage to kill two human characters, they return to their human form. The last player/team standing wins the round. So, is this a legitimate way of adding value to a title, or a fan-milking cash-grab? I guess we'll find out when Resident Evil 6 is released on PS3 and Xbox 360 on October 2nd with a PC port to follow in November.